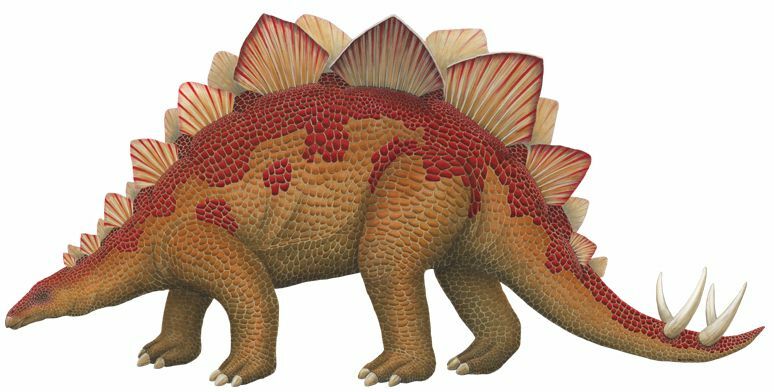 Stegosaurus facts not only for kids, but also for adult who loves dinosaurs. Today, let’s learn some facts about Stegosaurus. 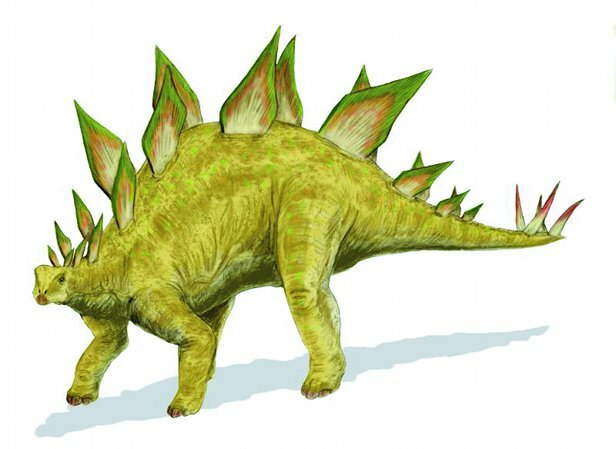 Stegosaurus was a very large dinosaur that have unique bones and plates along its spine. 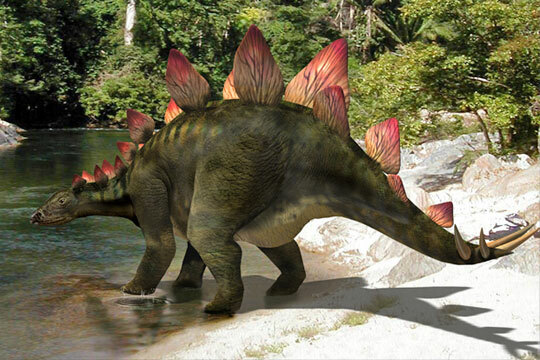 Many peoples have already know Stegosaurus. This kind of dinosaur come from a group of dinosaurs knows as Stegosauria. This dinosaur is herbivorous dinosaur. What makes it very easy to recognized was its rows of unique bones that developed into plates. Spine along their back and tail to defend their self from any threat or enemies. 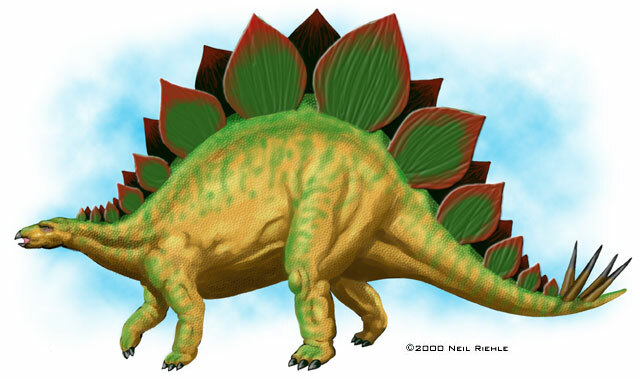 “Stegosaurus” comes from Greek language means roof of lizard. This dinosaur alive in the late Jurassic period, about 150 million years ago. Do you know the size? Stegosaurus was around 4 metres in height and 9 metres in length, about the weight, it’s so heavy! About 5 tons! 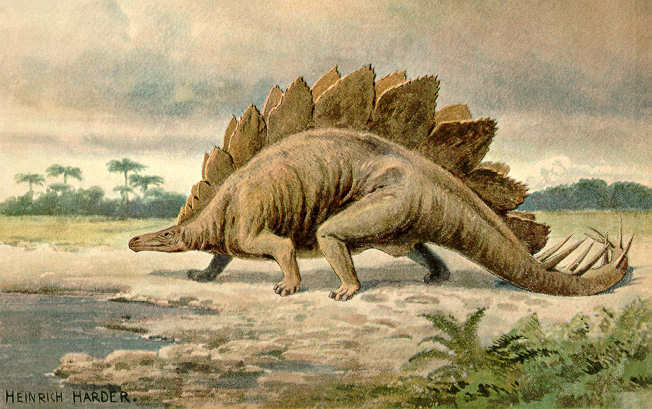 Stegosaurus fossils , itself, was founded in Portugal and North America. Although the body was very large, but their brain is so small, it’s only around the dog’s size. It can run for 5mph only. So it’s quite slow. About its plates, the largest plates were around 60cm tall and 60cm wide. Colorado is well known as Stegosaurus’ state.